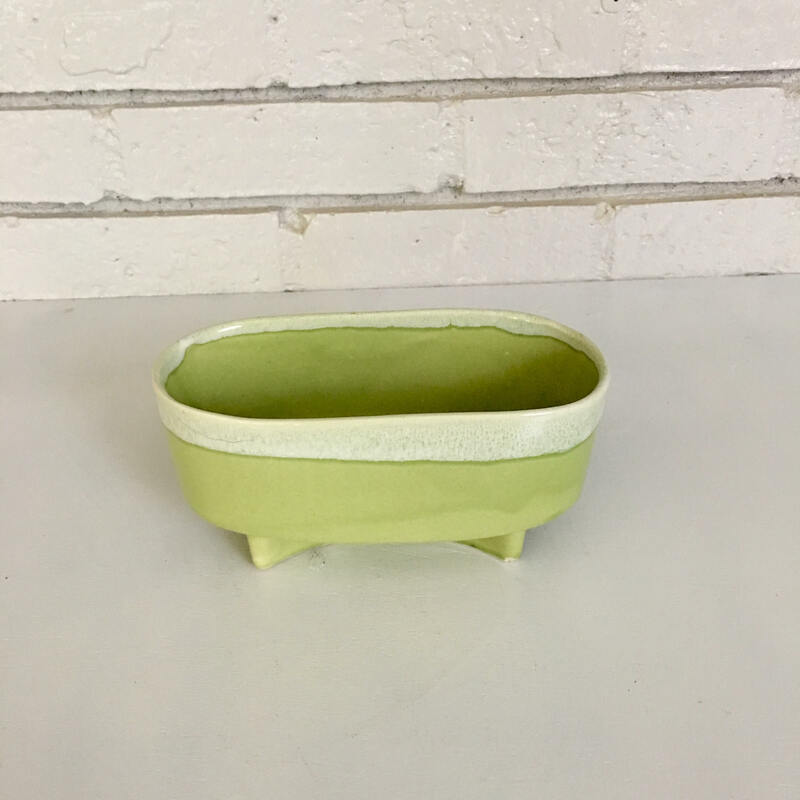 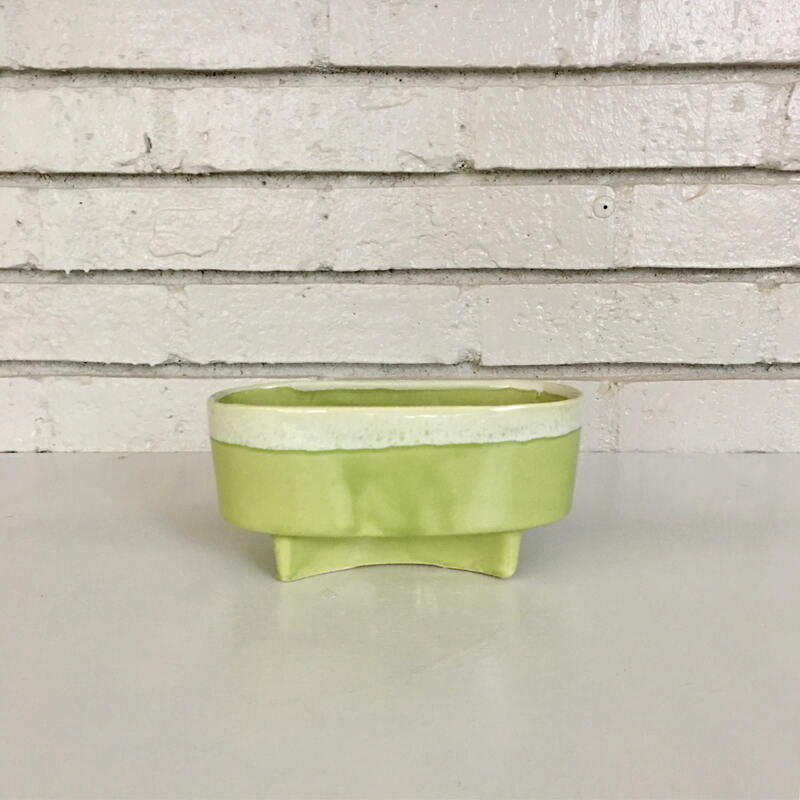 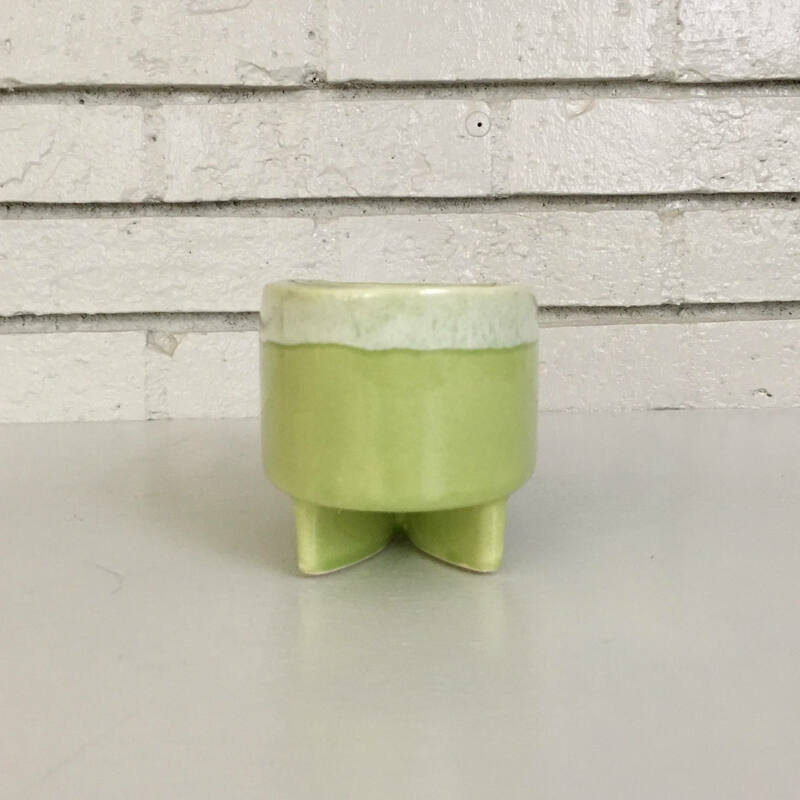 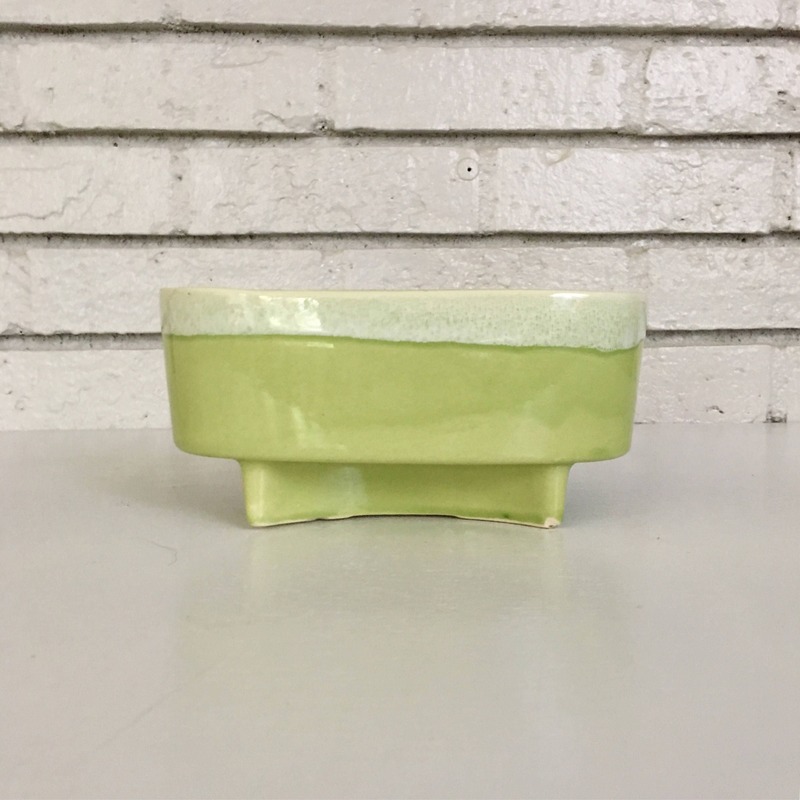 Sweet celadon green USA ceramic oval planter with an interesting double arc footing. 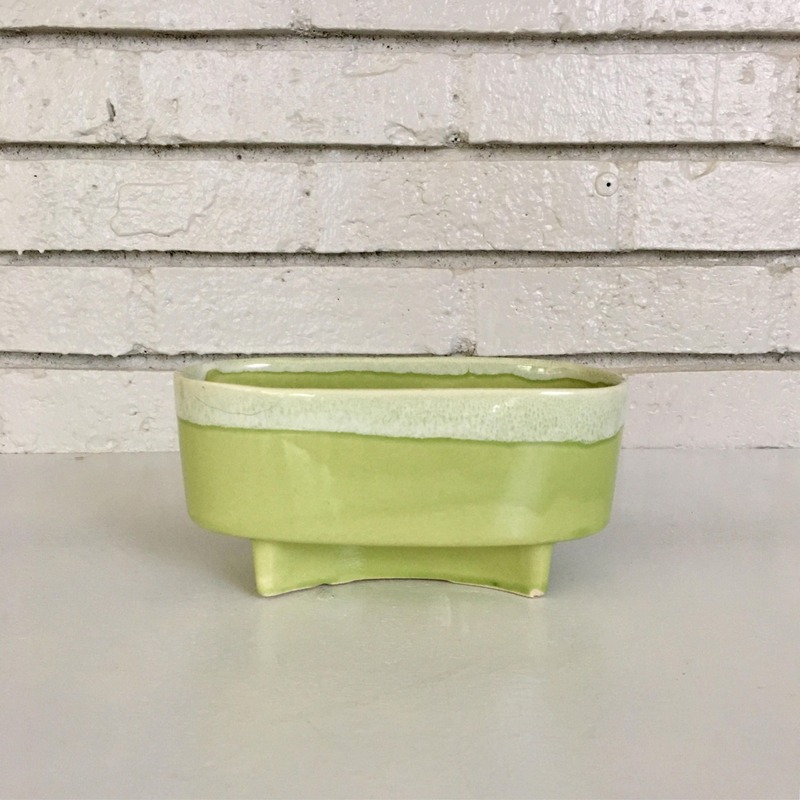 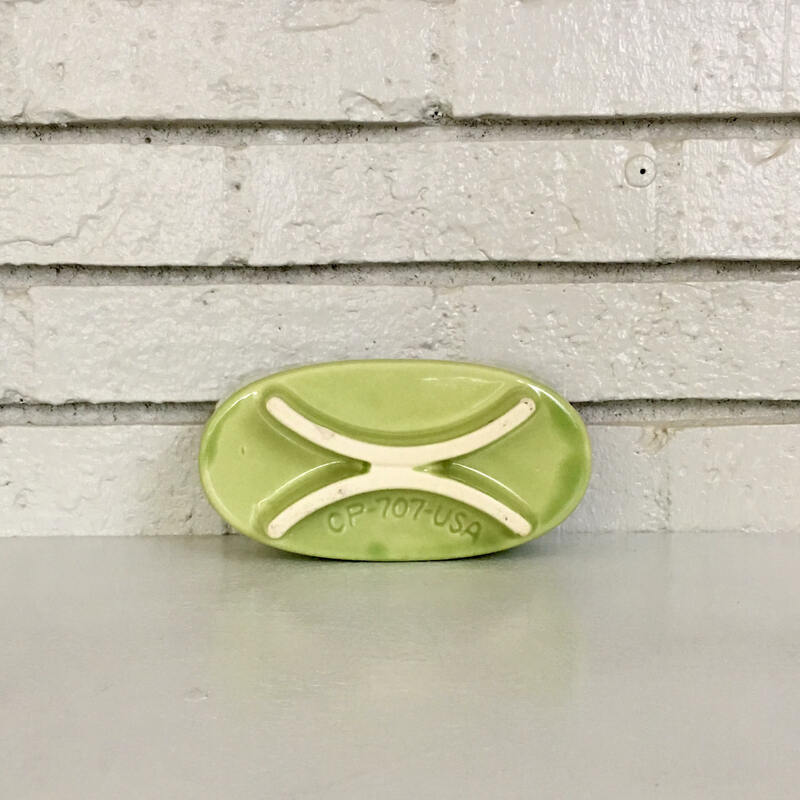 Excellent vintage condition - no chips or cracks - perfect for gifting. 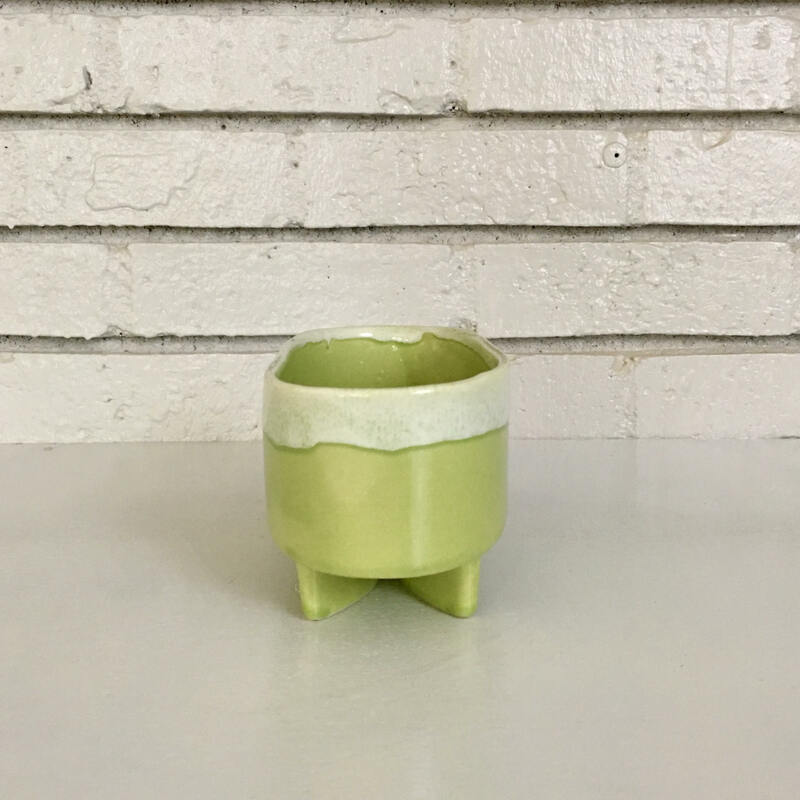 Marked "CP-707-USA" on the bottom.